We work with several partners across the city to help all schools in London grow their own food. New for 2019, Growing Culture: Celebrating London’s past and future food growing heritage, will focus on the history of London’s food growing and how this has contributed to the culture of families, communities and our city. The project will engage over 200 diverse people to explore the heritage of our movement and create a picture of the history of food growing in London, while building a vision of the future. Capital Growth will enable individuals, groups, schools and other Londoners, to share memories of food growing, through storytelling, maps, photos, records and by growing heritage variety crops. We will work with four schools to explore past and recent history of food growing and bring to life stories of how food has been grown and traded in London, focusing on the last century. This will look at historical food production, allotment gardens, city farms and the explosion in community food gardens in the past 10 years, driven by our Capital Growth campaign. In 2018, Capital Growth ran a programme of food growing environmental education and support for teaching staff, targeting schools in Hackney and Tower Hamlets. The programme helped hundreds of pupils learn science, maths and environment studies through growing food. Spring into Growing 2019: Plan it. Build it. Grow it! Get growing today: Plan it. Build it. Grow it! Capital Growth is a partner of Food Growing Schools: London, led by Garden Organic and funded by the Big Lottery and Mayor of London. 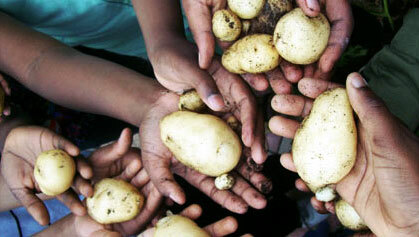 The aim is to support every school in London to grow food and is supported by a range of organisations.